Rats have evolved to a point long ago where they have comfortably adapted to live with humans. This works well for the rat where he has access to food, water and shelter however for humans it’s a different story where they suffer both the destructive and disease carrying abilities of the rat. Having a rat in your home can be a very traumatic thing but be confident that Perth Pest Control are experts at how to get rid of rats and how to get rid of them quickly! Produce up to 15,000 descendants in a year. There are a number of species of rats however we will only concern ourselves here with the 2 types that are most prevalent in Western Australia homes and offices – the Black (or Roof) Rat and the Norway (or Brown) Rat. Of these 2 varieties, the Black Rat is much more common in our homes. It has a great ability to climb and is extremely agile and hence these rats you’ll find in your ceilings. and wall cavities. The Brown Rat lacks any great climbing ability and its natural home tends to be in nests underground and the opening of the nests, which will appear as a small hole, is an indicator or Brown rat presence. Brown rats will typically nest under deckings, compost heaps, under or around garden sheds and the like. SO WHAT ARE THE SIGNS OF RATS PRESENCE? The first thing to realise that rats are essentially nocturnal creatures. During the day they will hide from man and then be most active from dusk till dawn but if they are spotted during the day, it may indicate they are either hungry or present in large numbers. Droppings – usually about 10 – 15 mm long with one end blunt and the other pointed like a tapered spindle shape. Noise – commonly, rat activity in a home can be indicated by an unusual sound in the ceiling. This may vary from a scratching sound through to quite audible “thumps” or scurrying. Damage – rat’s need to continually gnaw to stop their incisor teeth growing too long and this leads them to chew on many common household items such as wood and cardboard as well as plastic, plasterboard and electrical cables and wires. Nests – The nests of Black Rats will be seen in ceilings and will consist of items such as fabric, shredded paper, plastic, cardboard etc. Brown rats burrow underground and the nest opening will appear a small hole on the ground surface. Rats are cunning, agile and dangerous and need to be eliminated from your property quickly. Hardware store bought baits may work on 1 or 2 rats in a colony however rats are intelligent and may not approach a bait if there is any contamination present. As well, these DIY products may kill a rat IN your ceiling. The rat will die there and start decaying and for 2 – 3 weeks, an extremely pungent smell and the appearance of flies and maggots will be seen unless the carcass is removed and if it falls into a wall cavity, this won’t be possible. 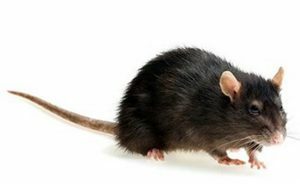 At Perth Pest Control our initial site inspection will give us a clear indication of the extent of a rat invasion of your home or business premises. Following this, we will instigate a baiting plan to eliminate the colony. In baiting, we need to analyse the surrounding area to make sure the bait is not competing with other food sources and to make it as attractive as possible to a rat. We have had situations in the past where, for example, we’ve dipped our baits in chocolate to appeal more to a rat colony so we’re quite skilled at our baiting regime! The baits we use, once ingested, will make the rat desperate to seek a source of water and hence it’ll exit the house and die outside rather than inside your ceiling. Rats need entry and exit points from a building and our service also includes a recommendation of proofing of these points in your home to minimise future rodent activity in your home. Contact us at Perth Pest Control if you have any concerns about rats in your premises. I have rats in the ceiling of my home, how do you get rid of them? Perth Pest Control use a very potent rodent poison that has proven to work effectively in nearly all situations. Our treatment for rats also involves an inspection of the locale to determine the exact whereabouts of the rat (or rats). Will the rats die in my ceiling after they eat the poison? The poison we use for rat control acts to greatly increase a rat’s desire for water. This water can’t be found in a ceiling void and so the rat will frantically seek water outside and as the poison takes to 1 – 2 days to take effect and most likely death will occur to the rat outside your house. Why can’t I simply buy some Ratsak and place it in my ceiling to eliminate the rats? Commercially bought rat poisons don’t come with the experience needed to efficiently eliminate rats. 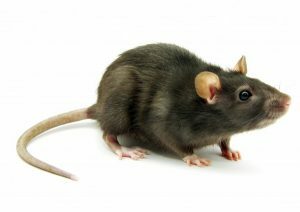 There are many factors Perth Pest Control uses in eradicating rats: knowing rat trails, consciousness of competing bait sources, awareness of bait contamination etc. As well, the type of bait we use is a much more concentrated and efficient one that is commonly available at your local hardware store and does not have any secondary effect on pets whereas store bought poisons may affect other animals if they eat the poison or the rat. I have a large warehouse with a rat problem, do I need to place baits everywhere to eliminate these rats? No. In commercial / industrial situations experiencing rat problems, we tend to look at entry / exit points that rats may use. 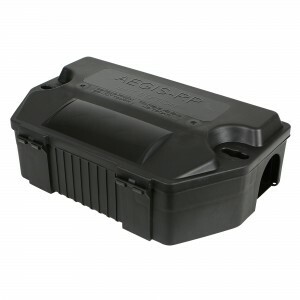 Here we place our specially designed rat bait stations and in most cases this system works very effectively. These stations need to be monitored regularly to maintain rat elimination. You can do this however most businesses will prefer to use the experience of Perth Pest Control who offer a scheduled maintenance service for rats. I hear sounds in my ceiling at night, do I have rats? If the sounds are scratching or thumping ones, there’s every likelihood you will have either rats or possums. Keeping in mind that possums are larger than rats so unless the sounds are very loud, you would probably have rats. If a rat dies in my ceiling will there be a lingering smell? Yes there’s a very good chance that will be the case and what’s more, that smell will be extremely pungent. It may also happen that upon decaying, bodily fluids may leak from the rat and stain your ceiling. The type of rat poison we use has been specifically designed to make the rat leave a house and seek water outside where it should eventually die.